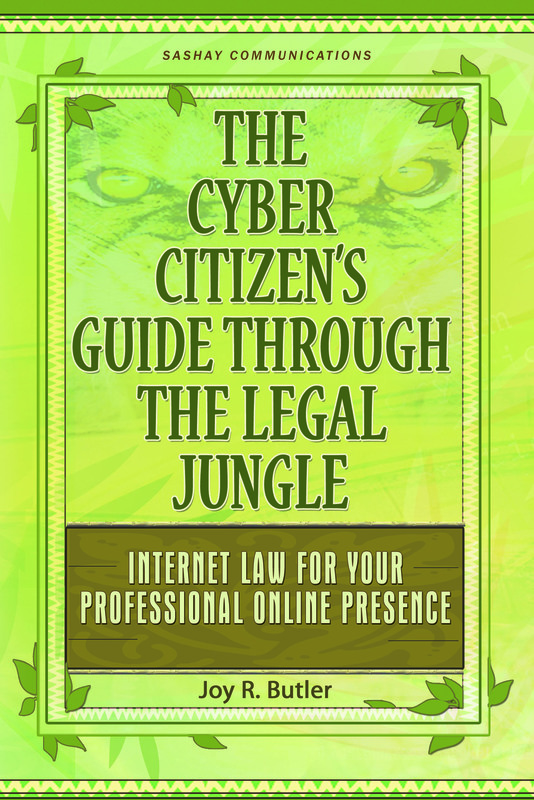 This page contains information about the Guide Through the Legal Jungle® publications. You may use and modify any of the information on this page in any press-related articles or reviews about the book or author. The Guide Through the Legal Jungle® publications are authored by Joy R. Butler , and published by Sashay Communications, LLC. 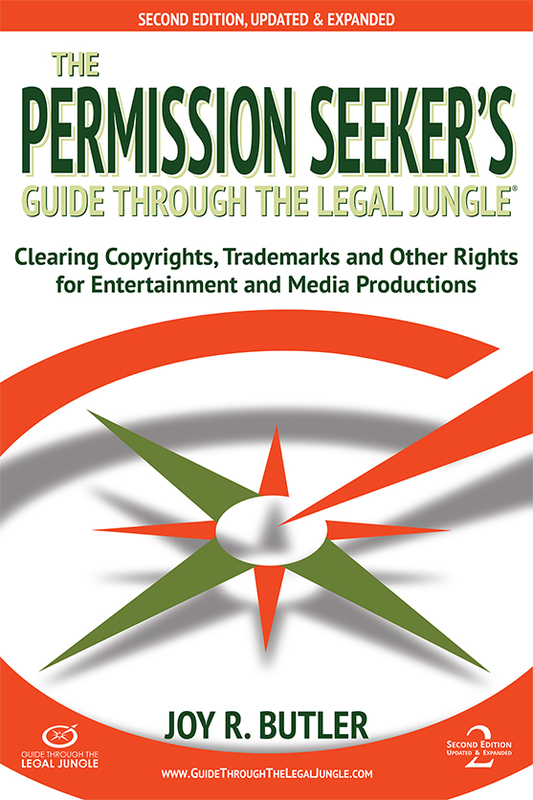 The Permission Seeker’s Guide Through the Legal Jungle: Clearing Copyrights, Trademarks and Other Rights for Entertainment and Media Productions. Second Edition, Updated and Expanded. Book Details: $29.95; 6 x 9, 450 pages, Paperback, ISBN 978-0-9672940-7-0, Pub Date: Jan. 2017. 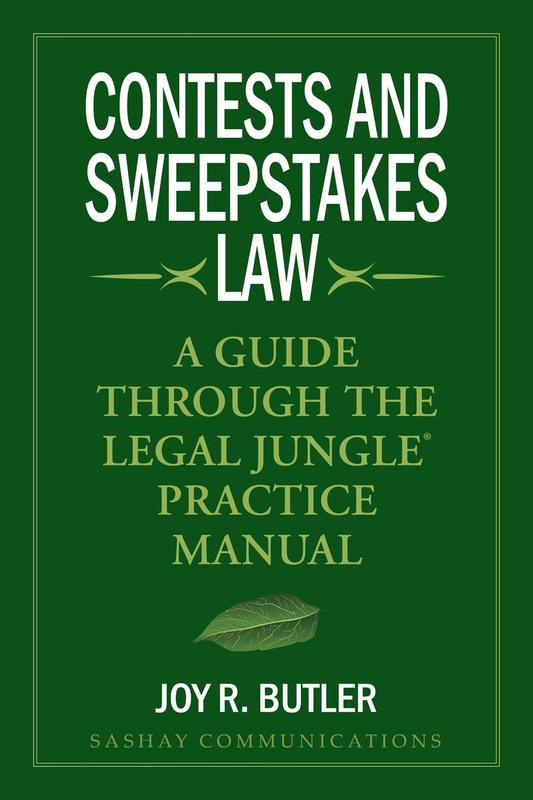 Contests and Sweepstakes Law: A Guide Through the Legal Jungle Practice Manual. Book Details: $225; 6 X 9, 498 pages, Hardcover, ISBN 978-0-9672940-6-3, Pub Date: Jan. 2015. Book Details: $19.95; 5.5 X 8.5, 310 pages, Paperback, ISBN 978-0-9672940-2-5, Pub Date: : May 2010. Joy R Butler is an accomplished author and attorney who has advised companies and small business owners in the technology, media, and ecommerce industries for over twenty years. Ms. Butler excels at explaining complicated legal issues in understandable terms and proposing practical solutions to business problems. Her Guide Through the Legal Jungle® publications have been adopted into academic university curricula, used as a reference at the Library of Congress, and served as a source in periodicals such as The New York Times, Washington Lawyer, Associated Press, PR Week, Forbes, and Inc. Magazine. Within her private law firm practice, Ms. Butler focuses on helping clients develop business models, negotiate contracts, protect their rights, and resolve the complications related to doing business in both mature and emerging industries. Her law firm clients consist of mid-market companies and small businesses active in the technology, media, and ecommerce industries.